On this almost spring-like day, we decided to take a little walk to Curry Hill for some Indian food. It's a nice walk from our office, not far at all, but probably pleasant only for half the year when it's neither too hot or too cold. 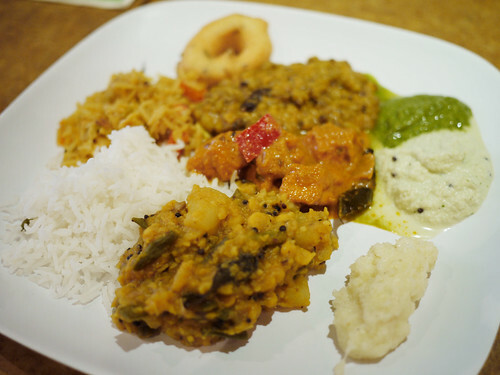 We like the buffet at Tiffin Wallah, and at $7.95 for all-you-can-eat, we think it's a pretty darn good deal. And while we don't celebrate Easter, the vegetarian meal seems even more apropos for this Good Friday, except that it's so satisfying that it doesn't really feel like any form of self-denial.